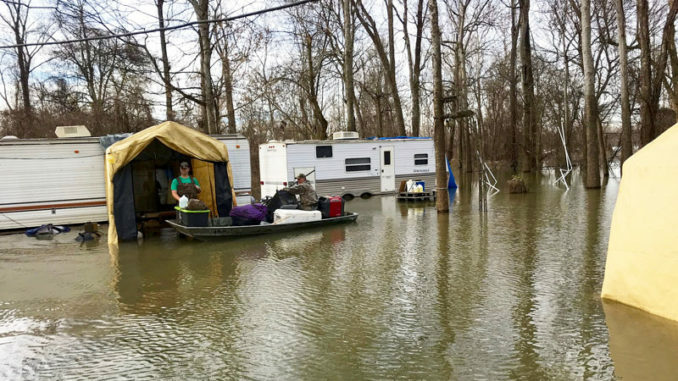 Tensas Parish deer hunters removed gear from their campers as flood waters rose in January. Even mobile camps like these got flooded because before water rose quickly, and roads went under and were closed. Excessive fall and early-winter rainfall frustrated North Louisiana sportsmen, scattering ducks, making deer hunting tough and forcing the Louisiana Department of Wildlife and Fisheries to close major roads leading to popular wildlife management areas. Lakes and rivers were out of their banks, some low-lying hunting camps were flooded and too much water pretty much ruined an already tough duck season. From Thanksgiving into the new year, things got worse — and it has lot of folks worried about this spring. 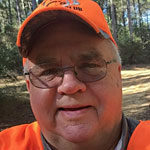 The end of the 2018-19 deer season also was frustrating for many hunters, not only because they couldn’t hunt, but because many of the low-lying woods flooded during the latter part of the season, with some people losing their camps to the high water. For much of the season, woods in some areas were impassible because of standing water. “We hunt in Tensas not far from the Yucatan, and we got up there in time to get most of our gear out by boat when this started, but we could not save our camper trailers and other equipment,” said Chris Hogan of Hahnville, one of many from South Louisiana who travel north to hunt and fish. “It just came up too fast. The roads went under and were closed. We aren’t the only ones that happened to. Peyton McKinnie of Tiger Bend Outdoors in Marion has seen flooding both on Lake D’Arbonne and in the woods of Union Parish. The conditions also affected other areas: The Louisiana Department of Wildlife and Fisheries closed roads and blocked access to parts of several prime wildlife management areas during hunting season, including Grassy Lake, Attakapas, Russell Sage, Richard K. Yancey, Pearl River and Dewey Wills.